Every day, 54 percent of Americans over the age of 18 consume coffee. There’s no denying that coffee is a worldwide popular beverage. Whether you drink it right in the morning or consume it as an afternoon pick-me-up, coffee is the most popular and commonly consumed stimulant worldwide. Many studies have linked coffee consumption to health benefits such as improvement in liver health. On the other hand, there are fears that coffee consumption may contribute to weaker bones. In order to uncover whether or not coffee is safe for bones, a review was conducted. Coffee consumption is a known risk factor for osteoporosis as it can deplete the bones of calcium. The study, which was published in the journal Food and Chemical Toxicology, found that coffee did not increase the risk of fractures or falls among older adults as long as they were healthy and had adequate calcium in their diet and bones. But this doesn’t mean that coffee still isn’t a threat among those with weak bones already. 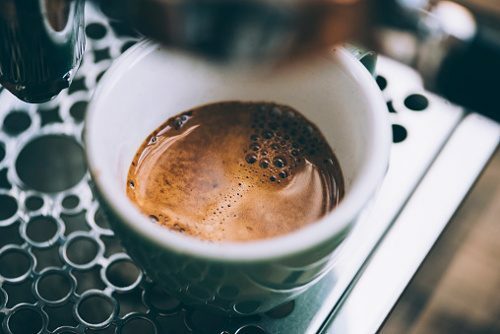 Some setbacks were that the study focused on healthy older adults, so coffee’s effects on individuals who have weak bones or other health problems are unknown. The average daily consumption of coffee in America is around 165 mg, which falls far below the threshold of 400 mg. This is good news because it means that you can still enjoy your favorite beverage without the fear of weakening bones. It is important to note that the review only looked at healthy individuals. If you have already been diagnosed with osteoporosis or are at risk for it, speak to your doctor about whether or not drinking coffee is safe.